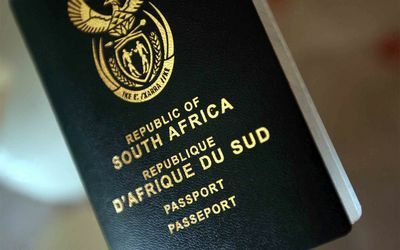 Anyone who has paid a Repatriation Deposit to the South African Department of Home Affairs to secure their temporary residence visas for South Africa, will lose this deposit if they do not claim it before the 28th February 2015. The Department is, in terms of the new requirements under the Immigration Amendment Act, 2011, no longer requiring repatriation deposits as a term or condition for issuing temporary residence visas. This repatriation deposit was required by the Department of Home Affairs to cover the possible cost of deportation, should the individual need to be deported from South Africa. As this is no longer a requirement, the period for claiming this repatriation deposit expires on the 28 February 2015. Failure to claim a refund by 28 February 2015 will result in the deposit forfeited to the State as unclaimed. A combination of flash floods and landslides resulted in at least 30 fatalities in the Democratic Republic of Congo (DRC)‘s South Kivu province between 27 and 28 October. The majority of casualties were reported in the village of Bushushu, where a series of landslides destroyed as many as 700 residential and commercial properties, displacing an undisclosed number of people. Strategic infrastructure, including a number of roads and at least two bridges, was also damaged by flash flooding. The DRC is a large country with diverse weather patterns. 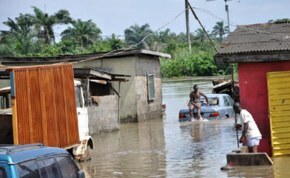 Generally, the south of the country experiences its highest rainfall from November to March. Northern DRC, in which the province of South Kivu is located, experiences higher levels of rainfall from April to October. It should be noted that inclement weather is expected to persist across much of the region until 4 November, increasing the risk of further flooding in low-lying areas (including near rivers, such as the Congo) and landslides in mountainous regions. The road infrastructure, which is already poorly maintained across most of the country, may also be adversely affected. Due to various security concerns, all travel to South Kivu province is advised against. Persons currently in or intending to travel to the region despite this advisory should avoid the flood-affected areas, anticipate travel delays as a result of damaged road infrastructure, and exercise heightened caution in and around the aforementioned high-risk areas. 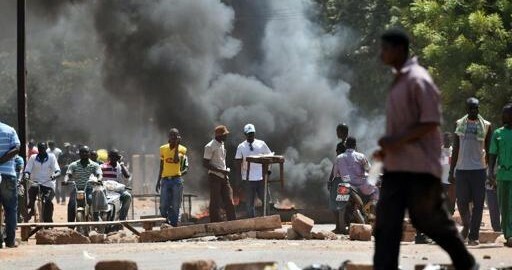 Security forces used teargas and baton charges to disperse anti-government protesters who took to the streets of Burkina Faso‘s capital, Ouagadougou, on 28 October. The incident marked the start of a countrywide civil disobedience campaign organised against the government of Blaise Compaore. Follow-up protests are expected in the capital and the city of Bobo-Dioulasso on 29 October, which will also be accompanied by a countrywide general strike. 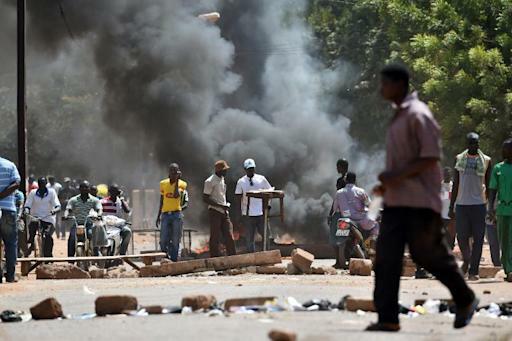 Opposition parties have called upon activists to block the Burkinabe National Assembly in Ouagadougou on 30 October. The civil disobedience campaign has been organised in response to government plans to submit a bill to the legislature (National Assembly) on 30 October which, if accepted, would allow the government to hold a referendum on amending Article 37 of the Constitution. If accepted, the amendment would extend presidential term limits. This would, in effect, allow the current and long-standing president, Blaise Compaore, to stand for re-election in November 2015. If the amendment passes, an escalation in protest activity is possible in the coming weeks, including in the run up to any eventual referendum on the matter (late 2014 or early 2015). The threat of violence at all related gatherings is considered elevated. Persons in Burkina Faso over the coming week are advised to monitor local developments closely. All street protests, concentrations of security force facilities and travel at night should be avoided as a precaution. A heightened level of personal security awareness is advised in past and potential protest areas (public squares, government buildings and main roads). Clients should also ensure that fuel and other essential commodities, such as foodstuffs, are fully stocked in anticipation of possible protest-related business operating hour and supply chain disruptions. SA’s recently gazetted immigration rules could have disastrous consequences for the economy. To remain competitive in a global marketplace, we need to do everything we can to encourage investment and attract much-needed skills to our country. SA is a developing, emerging economy. By introducing such onerous new visa regulations we are behaving like a First World economy, and are turning away opportunities to create wealth and grow our economy. SA is not unique in wanting to tighten immigration laws and reduce the number of undesirable people entering the country. 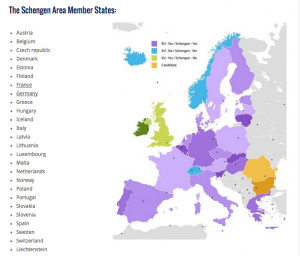 The UK and Switzerland, for example, have made it much harder to obtain work and tourist visas. But these are First World countries. We should be following the examples of other developing economies such as Mauritius, Rwanda and Chile. They are encouraging the entry of skilled leadership to help grow their economies. The new visa regime is also contrary to international business trends. Company boardrooms and executive teams globally are increasingly more diverse. In the UK, for example, a third of chief executives and chairmen of FTSE 100 companies are non-British. In SA, most of our top retailers are run by nonlocals. This is to be expected given the nature of globalisation and the impact of the digital era. As SA-based multinationals expand into the rest of Africa to diversify their risk and to capitalise on the continent’s growth story more skilled foreigners are needed at board level. Corporates now want board members and executives from African states in which they have partnerships. In a nutshell, we are living in a globalised world and we need to develop a more international flavour on our boards and at senior executive level to compete in Africa and abroad. We should remove entry barriers, not create more of them. The new regulations are, quite frankly, mystifying. To realise the vision of its National Development Plan to build a society offering better economic opportunities for all, government should be doing everything possible to make SA an attractive investment destination. This includes removing unnecessary red tape to make it easy to do business here as well as to bring in the required executive skills. But the new visa regulations are doing the opposite. The Department of Home Affairs appears to be sending a message that SA has no interest in creating a business-friendly environment. Uncertainty is the biggest issue for many multinationals and corporations seeking to fill top positions with the skills they need. A general work visa is ordinarily required, but with the new rules this could now take more than six months to process — without any guarantee it will be issued. Corporates now need to approach the Department of Labour, which has to do its own search for suitable candidates locally first. A recommendation will then be issued to the Department of Home Affairs, which will then process the application. All this has to happen from a candidate’s home country. The whole process is cumbersome, confusing and uncertain. Corporations will have legal recourse but most likely they will move their head offices to countries with less severe restrictions. Already multinationals are moving their administrative functions, for example, to countries such as Mauritius and Dubai for tax reasons and because it is easier to do business there. We seem to have forgotten that we are an emerging market economy and our biggest focus should be on drawing in foreign direct investment, which includes executive skills, to create much-needed employment to grow our economy. We need to remember that we have competition. There are other emerging markets to which investors will look if we do not take definitive steps to attract and keep them here. India is a good example. That country’s economy faltered because it was too closed and bureaucratic. Whereas India is now doing all it can to turn this around and draw skills and investment into that country, we seem to be closing doors instead of opening them. Ideology seems to be trumping common sense.